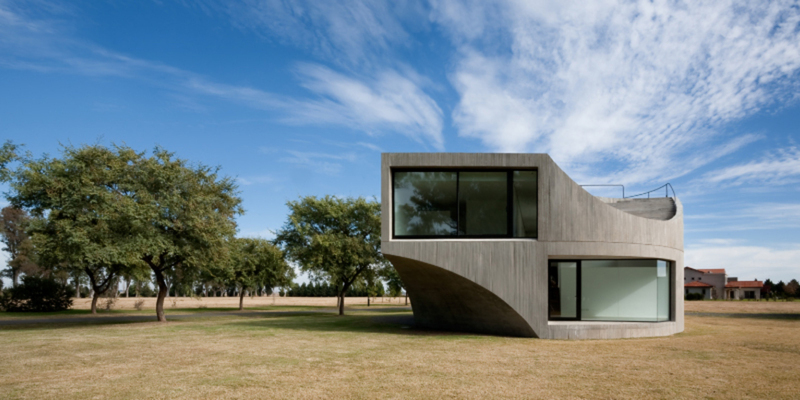 Johnston Marklee, View House, 2009, Rosario, Argentina. As two practicing architects, what was your interest in taking on a curatorial role? Mark Lee: We’ve done guest-curation projects for galleries, as well as academic shows at UCLA and other universities, and for the last biennial, we presented photographs we had commissioned artists to take of our buildings; but we haven’t curated anything on this scale. The last biennial was a great success in the way that it not only drew the international architecture crowd, but it formed a dialogue with people who were not architects. We’ve been working in Chicago for the last couple of years on a couple of different projects, and that kind of engagement was important to us. As you said, the inaugural biennial was a success as a public event, but the shortcoming most critics cited was its lack of cohesion, noting that it would have benefited from a centralized theme. Although planning is still in the early stages, have you decided on how to address such criticism? Lee: Last year’s show was an ambitious, grand survey of what’s happening internationally and among different generations; an overview is important to establish. And then it takes a second iteration to make a biennial. The two general thematics we’re thinking about right now are in nascent stages, but we’re interested in the renewed role of history for younger architects, a generation that believes in continuity. They don’t have the stigma of postmodernism; they’re looking at different parts of history and its precedents and how they can build that on current design work. The boundaries of architecture are also becoming more fluid. We’d like to explore the convergence of art and architecture, with the changing nature of public spaces and the proliferation of multimedia art practices. We want artists to participate, and to collaborate with architects. Sharon Johnston: We’re also in the middle of analyzing the 1897 Chicago Cultural Center and understanding the qualities of rooms, of circulation—and using the historic and contemporary spaces to help organize the design of the exhibition. We’re taking advantage of scale and attributes of the architecture to tell a story, as opposed to a free-for-all of things placed where they fit. We’d like our expertise as architects to be part of our approach to the organization of the show. With the growing number of design and architectural biennials in the world, what do you hope will distinguish the Chicago biennial on an international scale? Johnston: The history of architecture in Chicago is exciting to revisit and to resuscitate; for architects globally, it represents a major part of the American landscape. And our role is partly determining how the organization might partner with other institutions, buildings, and parts of the city to more deeply embed itself into the urban fabric. Conversations about Chicago architecture often use the words “history” and “legacy,” and now “resuscitate,” as if much of it happened in the past. How do you describe what’s happening there today? Lee: Through the schools and through the Graham Foundation, we’ve gotten to see a lot of work by the younger generation. We find it really refreshing to see that, for them, history is a treasure trove. They don’t feel shame or guilt to retrieve from it. That’s not just a way to resuscitate history but a source to push it much further, a part of the Chicago scene we want to keep present in this biennial.